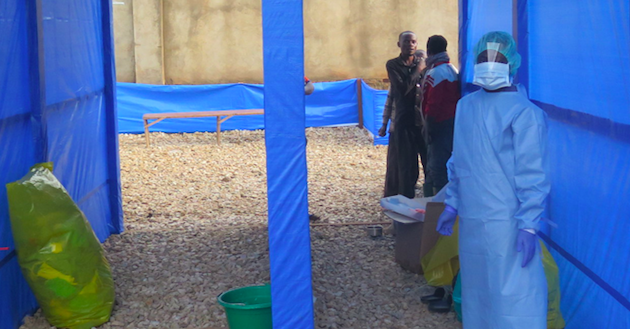 World Health Organization: “The rise in number of Ebola virus disease (EVD) cases observed in the North Kivu provinces of the Democratic Republic of the Congo continues this week. During the last 21 days (20 March to 9 April 2019), 57 health areas within 11 health zones reported new cases; 40% of the 141 health areas affected to date (Table 1 and Figure 2). During this period, a total of 207 probable and confirmed cases were reported from Katwa (83), Vuhovi (41), Mandima (29), Beni (21), Butembo (15), Oicha (8), Masereka (4), Lubero (2), Musienene (2), Kalunguta (1), and Mabalako (1). Additional coverage is available from the most recent report by the World Health Organization. The image above was obtained from MONUSCO under a Creative Commons license; modifications were made to size.